"I was over the moon when I was asked if I wanted to be part of Amanda Murphy’s new fabric release, 'Free Motion Fantasy’ blog hop; after all, FMQ and Amanda Murphy designs are two things I adore. I had originally thought I’d quilt my bed runner design with simple straight lines, letting the beautiful fabric be the star. But then, like any good diva, this fabric talked, no sang to me, and I had to listen..."
Look at that quilting! Wow! 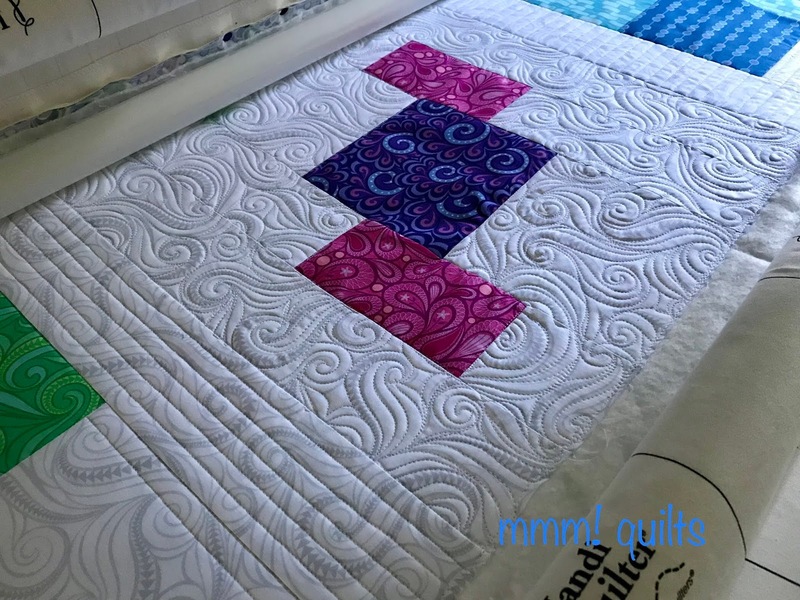 Head over to Sandra's blog to see her entire bed runner, called "Hopscotch," and enter to win a FQ bundle of Free Motion Fantasy. 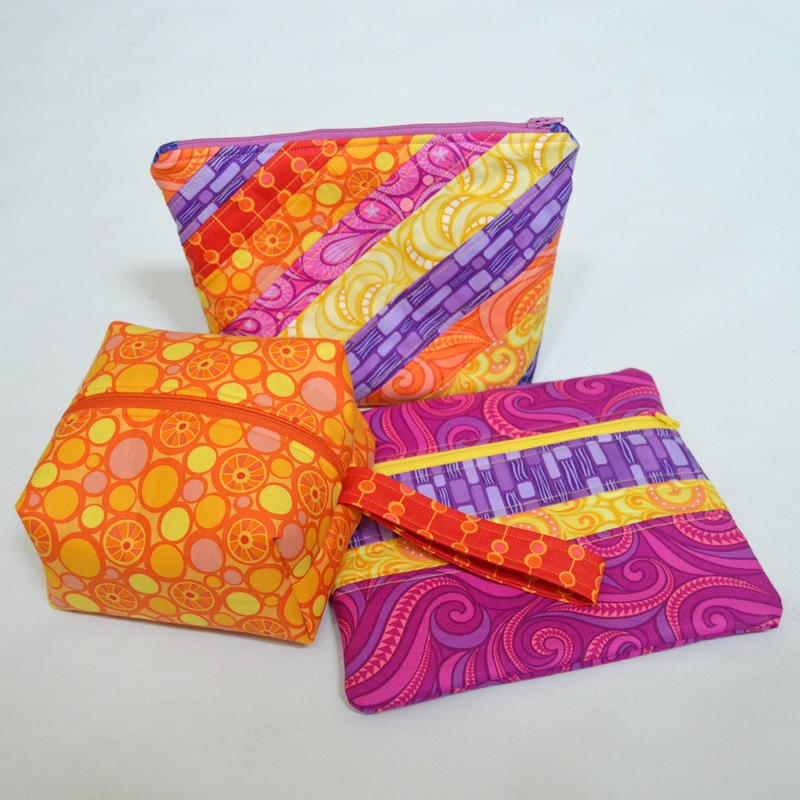 "When I saw Amanda's bright prints, I knew they'd be so much fun for a few zip pouches! These are quick to make, and the fabrics are so delicious--the hardest part was choosing which fabric to use where in each pouch." Lisa is sharing a tutorial to make all three of these zip pouches on her blog. Head over to check it out and enter to win a FQ Bundle of Free Motion Fantasy. Is Free Motion fantasy going to be available anywhere in Australia?